China's BOE Technology Group Co. is the largest manufacturer of big LCD screens in the world. It also supplies displays for Apple's iPad tablets. According to the Wall Street Journal, the company is now looking to become a source of OLED panels for Apple's high-end handsets. China, which lags Korea and Japan in the production of advanced displays, has planted a flag on BOE's factory in Sichuan province, hoping that the firm's engineers can lift the country's display technology to the same level as its rivals. BOE does have a head start; it is the only Chinese display manufacturer to supply Apple. In Cupertino, the hope is that the company succeeds. 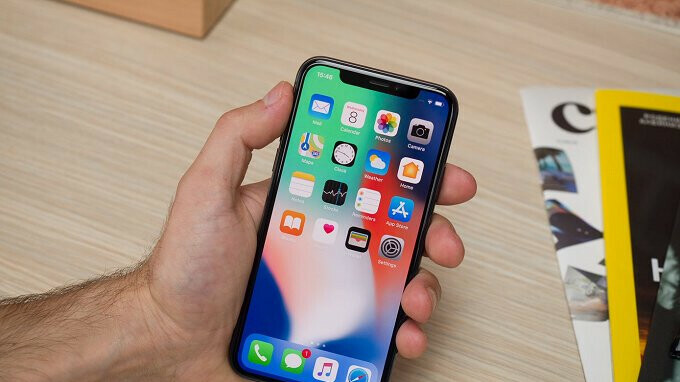 Apple would like to lessen its reliance on rival Samsung, and there have been questions raised about the quality of the OLED panels being produced for Apple by LG. In addition, Apple likes to have multiple sources in case there is a problem receiving components from one or more of its suppliers. And of course, having multiple vendors allows Apple to play all of them against each other when it comes to pricing. The earliest that BOE would be able to supply Apple with OLED panels would be 2020 according to a person who is knowledgeable about the situation. It already sells OLED displays to Huawei for the Mate RS and expects other manufacturers to sign contracts later this year. If it can meet Cupertino's demands for quality, it also hopes to have Apple executives signing on the bottom line of a new contract. More like Samsung needs Apples d!ck. Apple taught Samsung how to make OLED screens http://www.displaymate.com/iPhoneX_ShootOut_1a.htm iPhone also has better camera than S9’s https://www.phonearena.com/news/iPhone-x-blind-camera-comparison-huawei-p20-pro-galaxy-s9-pixel-2-xl_id104510 Go get more d!ck from your real father, it will hurt you less than seeing your god Samsung humiliated by Apple. see children.... never do drugs. Apple didn't taught Samsung how to make no OLED screens. Samsung make their own screens and Apple buy them. All they did was calibrate the color the way they wants it. Samsung have their way of calibrating and Apple have their. Who does it better that depends on personal preference. They both looks great and it's all because Samsung OLED screens technology. Samsung copied every little thing from Apple, now they are trying to bully people in to buying their awful smartphones and shaming and harassing iPhone users though their childish advertisements. It's so obvious that they must have been feeling the pressure from Apple and all the other rising manufacturers from China. Samsung's glory days are numbered now. They should've made a fully fledged OS for mobile phones while they can but didn't. They just borrowed Android from google, painted it with low quality water colors and slapped it inside a chunk of metal and called it the next big thing....lolzzz It's so amusing to see Samsung go down like this day by day. Apple didn't taught Samsung how to manufacture OLED screen. The tech was already available when Apple embrace the trend to use OLED. It's a no brainier to believe that Apple taught them. What apole did with yhe supplied OLED pannel was calibrate it according to their liking that's ut. Apple might not have taught Samsung to manufacture oled displays, but it has shown it how to make a good display better. Apple taught Samsung how to make OLED screens?? What have you been smoking? I hope post 7 made it clear. Time to read kiddos: https://en.m.wikipedia.org/wiki/LG_Prada https://en.m.wikipedia.org/wiki/IPhone Samsung copied Apple? Haha More like Apple copies LG, then Samsung copies Apple. Therefore, Samsung ultimately copied LG. WTF are you talking guys? What ''copy''?? Who ''copy'', what? The rectangle display??? LOL How could Apple made you look stupid and ignorant. I feel dumber for reading your comment. Papa hi you have said absolutely nothing of value and are a little bit dumb for arguing that a company Is a person with body parts. Weather Samsung makes great phones which they do is not my next point . Since Apple came out with the iPhone Samsung has copies of their business model blatantly and obviously owes there succes to that. Do you only think Samsung does well is hardware development but they are not very good at putting it together without stealing designs from other companies. For the most part Apple is not a manufacture of anything they design and advertise and sell . ^^^ "My religion is better than yours" "No, my religion is true yours is a lie"
God, they’re both so delusional it’s not even funny anymore. 80% almost in Android smart phone you'll see Samsung components in there. From memory chip to panel. A beautifying mirror is not as good as a mirror. I too like Samsung tones more, but I prefer to have the display of the iPhone, because it offers closer to real life colors.